Formfutura EasyFil™ ABS Grey is a stunning deep iron grey colored and 100% opaque filament. 3D printed objects in EasyFil™ ABS Grey will have a masculine and matt robotic iron-like appearance. 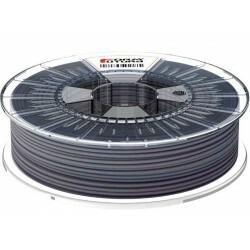 EasyFil™ ABS is an extra strong, light, durable, and impact-resistant filament resulting in a very stable 3D printing behavior making it an ideal filament for 3D printing of solid printed products.